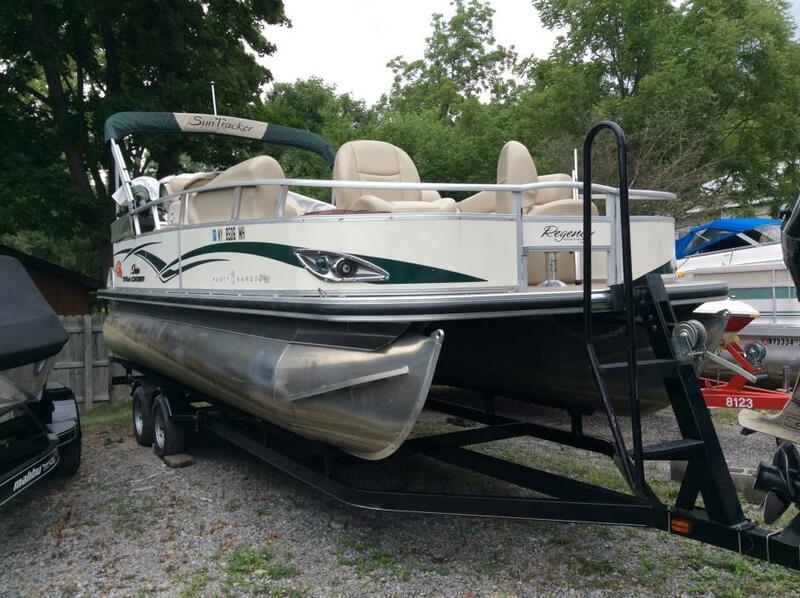 2011 Sun Tracker PARTY BARGE 20 Classic Series LARGER, WIDER 8.5' (2.59 m) DECK FOR 2011! 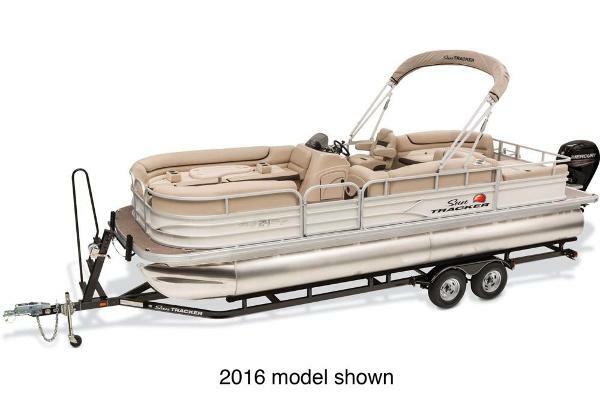 Rides on 24" (60.96 cm) high-buoyancy, multichambered pontoon logs Extended all-welded aluminum motor pod for more usable deck space 2 fold-down bow fishing chairs w/NEW FOR 2011 secure screw-in seat pedestals 2 plush bow couches w/closed underseat storage Captain's console w/wide swivel bucket seat, tinted windscreen, easy-read gauges, small items tray, drink holder & storage space below that will accept a cooler (not included) AM/FM/CD stereo w/MP3 jack & 2 speakers (accepts optional Sirius Satellite Radio package) Aft L-lounge w/closed underseat storage & small-item armrest storage Plush, padded sundeck w/closed storage below Color-keyed 7' (2.13 m) Bimini top w/NEW FOR 2011 drop-down changing room/privacy curtain Full-width aft swim platform w/non-skid surface & oversized boarding ladder w/large handrails When you're looking for a way to create more special time with your family, the SUN TRACKER PARTY BARGE 20 Classic Series is a family pontoon boat thatís worth its weight in gold. 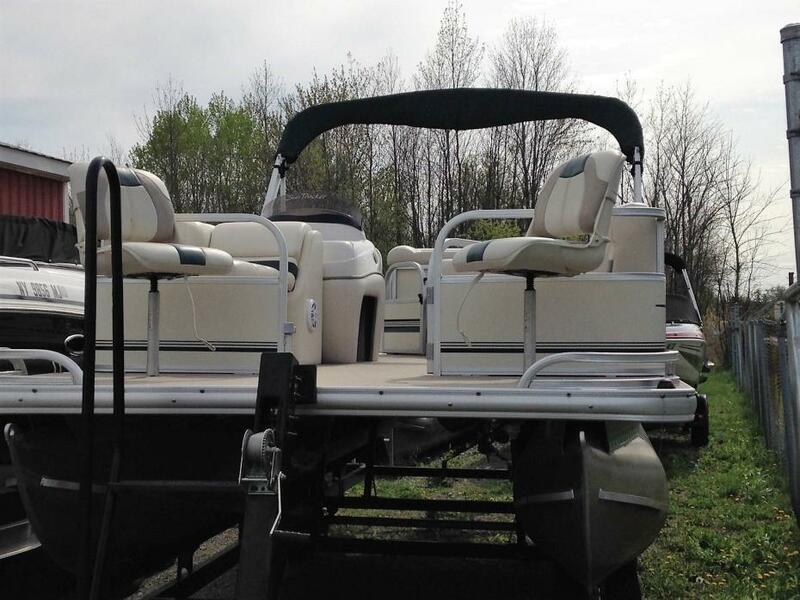 Kids, grandparents, everybody gets a charge out of being together out on the water. 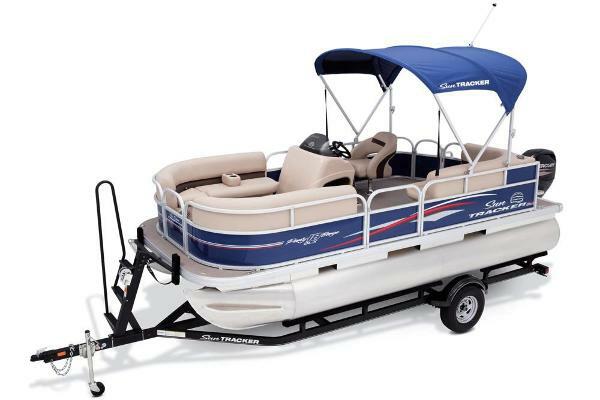 On the PARTY BARGE 20, thereís ample room and time for EVERYBODY's favorite pastime: to relax and do nothing more or to swim, jump, float, tube, eat, play board games, experience nature, picnic on the shore. You name it! 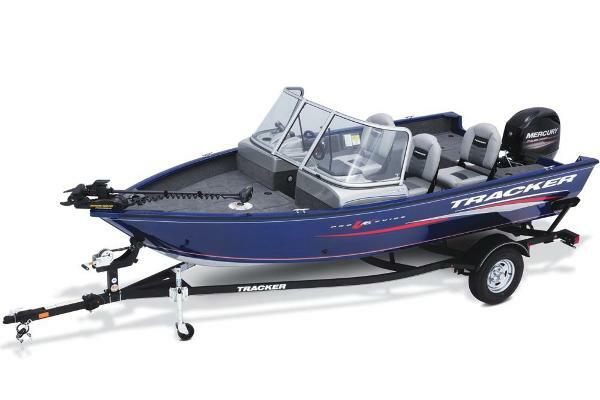 NEW FOR 2011! When you're ready to change into something cooler, or drier, or you name it - we've added a drop down changing room/privacy curtain to the standard equipment onboard. 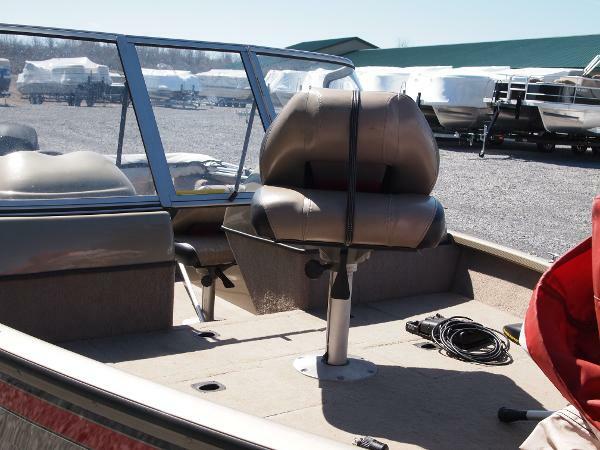 For seasoned anglers, or those just learning, we've even included two comfy fishing seats up front outfitted with NEW FOR 2011 secure screw-in seat pedestals. So what are you waiting for? 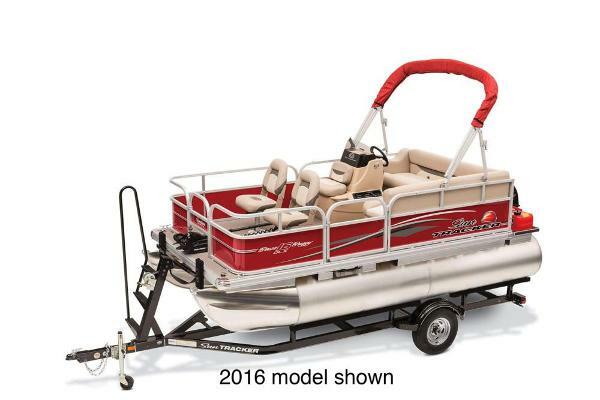 This is the easiest-to-handle, easiest-to-own pontoon in the PARTY BARGE line. And it's ready to host your crew of ten. Let the fun begin! 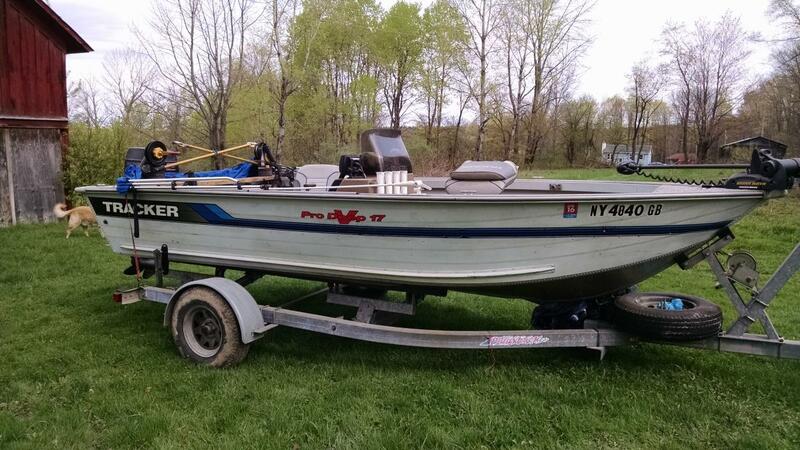 2008 Tracker 16 Pro Guide V-16WT Tracker 16 ft walk thru deep V fishing boat with bow mounted power drive V2 w/ipilot and remote trolling motor and dash mounted Lowrance Elite 5 DSI with full mooring cover as well as the bimini top and is powered with the 2015 Mercury 20 HP electric start 4/stroke outboard and includes the Tracker drive on trailer. 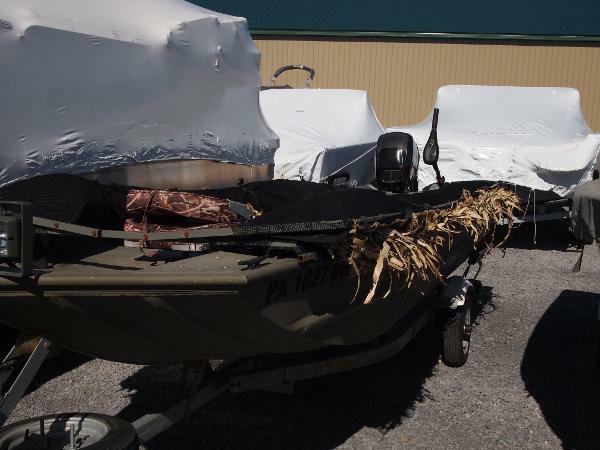 Boat was used on 20HP max lake in PA and is in very good condition Package priced to sell for $5995.00. 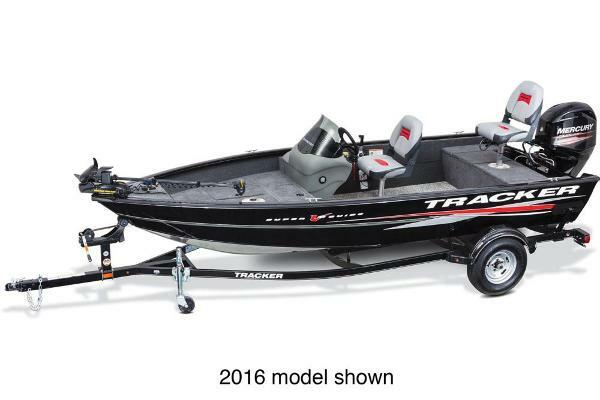 2014 Tracker Pro Team 190 TX, Super condition and ultra low hours 2014 Tracker 190 Pro Team bass fishing boat. 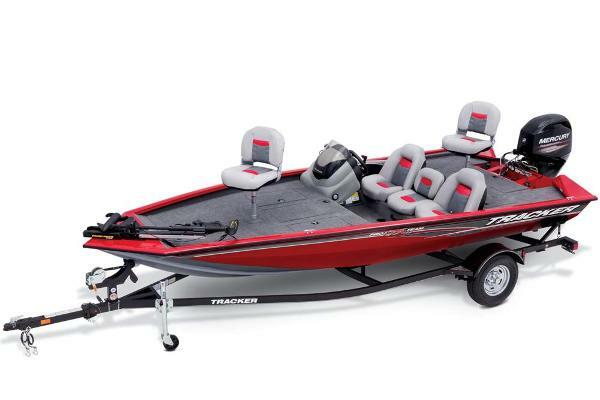 Powered by a Mercury 115hp Optimax with only 64 hours ! 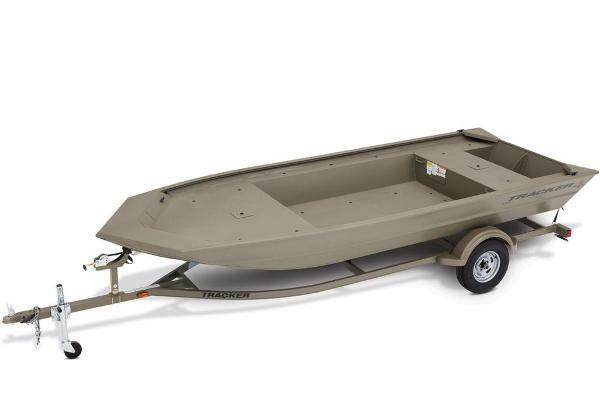 !Trailstar trailer with swing away tongue, wheel jack, guide ons and transom saver. Full mooring cover. 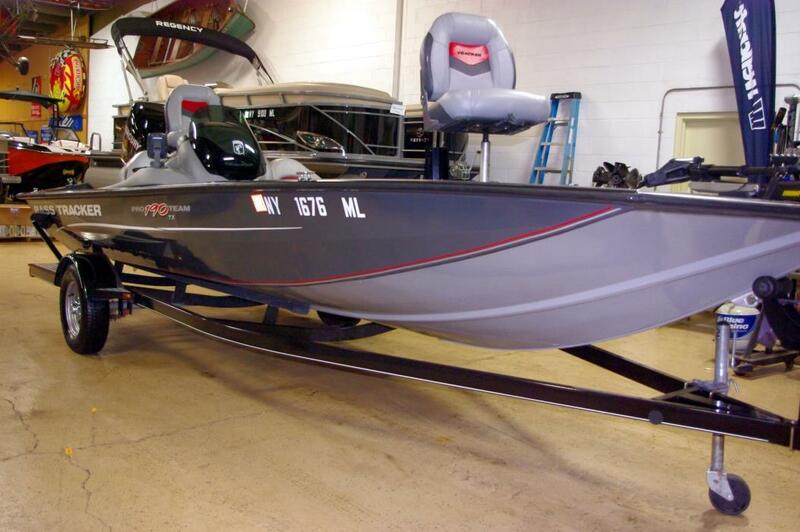 Trolling motor, bow mount foot control. Fish finder. Rod locker. Livewell. Baitwell. Livewell pumps. Bilge pump. Clean carpet. Tear free vinyl. Excellent running Mercury motor. Warranty applies. 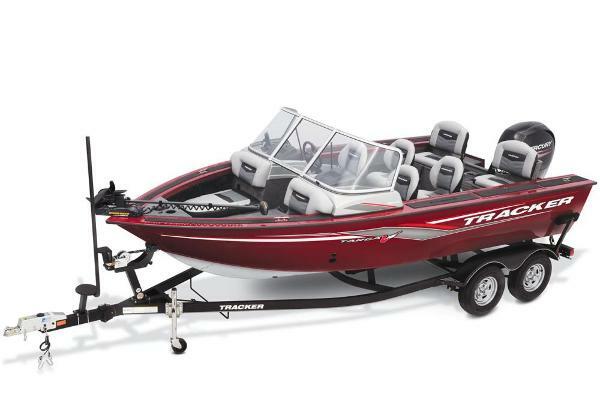 Factory warranty until 2-7-2018 See dealer for details. 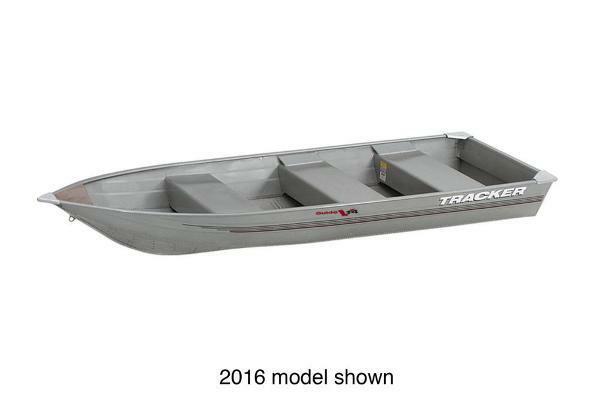 Financing available too.